6 tips to ensure your new-hire employee has a fabulous first day. I was reading an article by Kim Harris at TSheets about the importance of effective on boarding of new hire employees. It got me thinking, why is it that something as important as welcoming a new employee can leave such a bad impression? The employee who one week later still hadn’t been allocated a laptop or computer. The “new hire training” that covers the legal stuff and protects the company but doesn’t help the new employee understand how business gets done or who their team mates are. The team member who turns up to the first team meeting and everyone is caught off guard and have no idea who they are, or why they are there. Awkward. Kim Harris shared statistics that brings home just how vital our “first day” is. The Bureau of Labor Statistics found that our youngest baby boomers—that is, individuals born between 1957 and 1964 — held an average of 11.7 jobs by age 48. According to a study published by LinkedIn, recent college grads are more likely to change jobs four times in the first 10 years after graduation. In fact, they reported that people who graduated between 2006 and 2010 worked an average of 2.85 different jobs in their first five years out of school. That adds up to a lot of first days. I believe that the number of “first days” will only increase in the future, and we are moving to career portfolios, many jobs and careers within a lifetime. I’m an example of this: five careers so far and still counting! Whether you’re about to experience your first “first day” or you have moved teams or companies several times, the fact is, the first day at a new job is incredibly stressful. With the pressure of learning their position and their co-workers’ names, getting accustomed to office lingo, and adhering to proper etiquette, most warm-blooded humans need a little extra TLC to feel welcome. At SkyeTeam we endeavor to take our own medicine, to make sure that we prepare for our new team member before, during and after they start with us. After all, our success depends on their ability to quickly integrate them into the team. Their success depends on our ability to help ensure their success. All swagged out: TSheets suggests giving new hires a healthy dose of your brand’s gear to make them feel like part of the team. There’s a lot to be said for the sense of belonging that comes from having swag, and let’s be honest, we all have plenty of it to go around. From pens to shirts and socks, you name it, you can get your corporate brand on it. Most important: the company mug. That way, when your new hire goes to the break area for coffee they are ready to go for that welcome caffeine intake! Informal stakeholders: If the org chart is about the formal hierarchy then this tip is about ‘how things really get done around here.” Spend time explaining the informal network, the go-to people, the gatekeepers, the people who know what’s happening before it happens, the connectors, and potentially the rivals/adversaries who may not think highly of you and your team and who may transfer that attitude to your innocent new hire. Breaking the code: I’ve yet to find a company that doesn’t have its own secret code — the corporate language and jargon that is lost on the outsider. Whether it’s those pesky acronyms that people use (but can’t always explain!) or in-jokes and phrases (ask SkyeTeam about unicorns...). Create a jargon dictionary, share the context of the in-jokes so that your new hire can join in the laughter and not worry whether it’s directed at them. Sweat the small stuff: It’s the little things that can be the biggest frustration when we are new to a team and wanting to be at our best. Which number to dial to get an outside line, how to use the photocopier, where the rest rooms are, where the coffee machine is (and how to refill it and their new branded mug! ), the best locations for quick lunch. Make sure you pay attention to the small stuff so that your new employee can focus their attention on the big stuff, i.e., doing their job! A perfect first day is a tall order for anyone, however it doesn’t have to be a Hollywood dream. When you give team member a warm welcome, you set them up for success, longevity, and loyalty to your company. Business is personal, and relationships matter, start your working relationship on the right foot by giving a little thought and planning to your on-boarding experience. 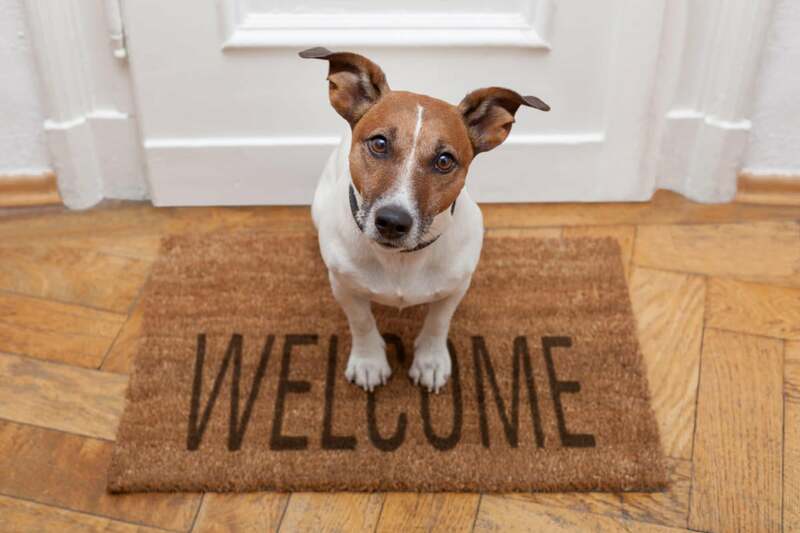 What do you and your company do to help new team members feel welcome? What was your best first day experience? How did your new employer go above and beyond to welcome you? Reach out to me via the media below — I’d love to hear from you.